Deputy Rosalie Freixas and Sgt. Gregory Musson. Freixas, who was injured, is "doing well and recovering from her injuries." In its press release, the officers are credited with exemplifying "courage and strength throughout this incident." With several members of the incident management team standing by, Humboldt County Sheriff William Honsal told reporters this morning that the man suspected of wounding one of his deputies in a shootout Sunday morning is a Mexican citizen who entered the country illegally. 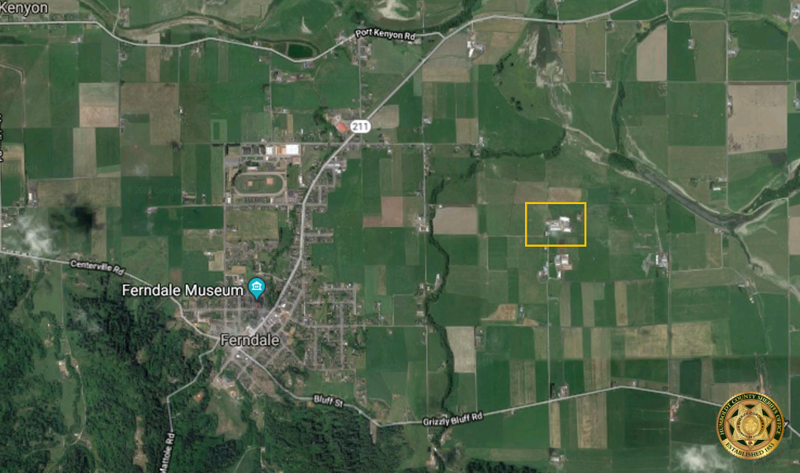 According to Honsal, deputies were dispatched after a neighbor called in a domestic disturbance in the 700 block of Coppini Lane, in Ferndale, at around 12:19 a.m. on Sunday. The reporting party said the people involved in the disturbance did not speak English. 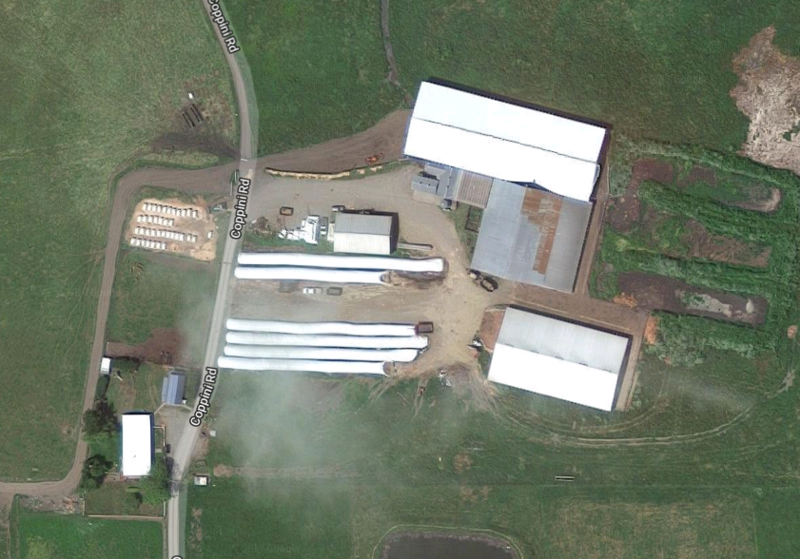 Deputies arrived at 12:46 a.m., stationing themselves outside a small "barn-like structure" and calling in through an open doorway. 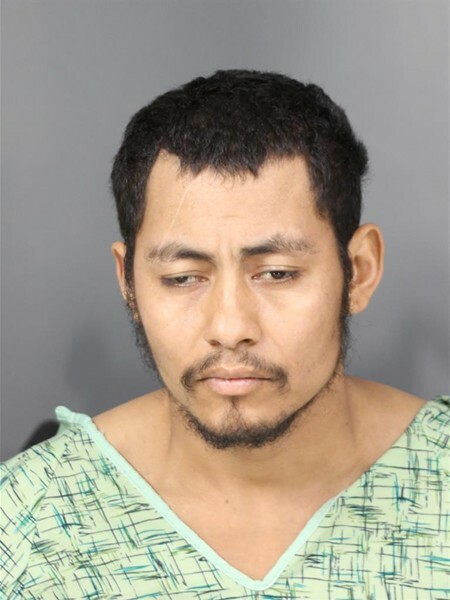 A woman ran out of the building, saying that she had been held against her will by a man later identified as Hugo Parral-Aguierre, and that Parral-Aguierre had a firearm. 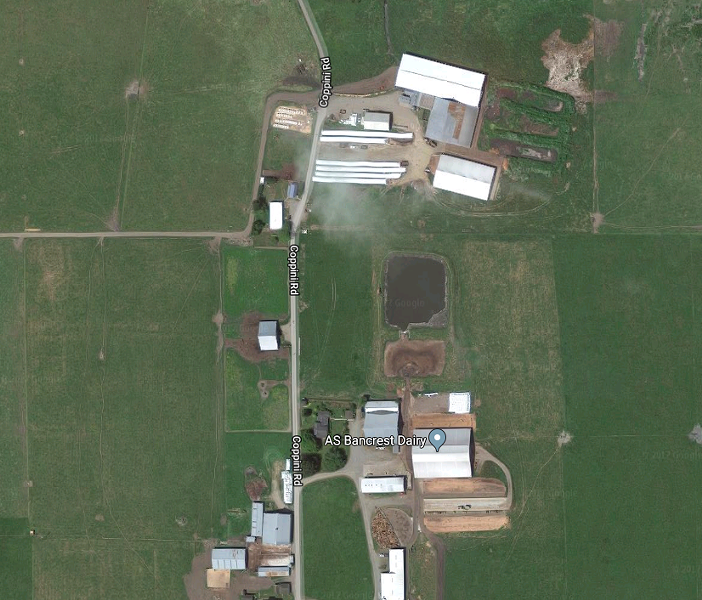 It was later learned that Parral-Aguierre had been in an argument with the woman's boyfriend, who fled the scene after Parral-Aguierre allegedly shot at him. Spotting Parral-Aguierre through the doorway, deputies drew their weapons and asked him to drop his gun, Honsal said. He allegedly opened fire, shooting one round from a 12-gauge shotgun that struck the female deputy in the left shoulder just above her bullet-proof vest. The deputies returned fire while pulling the female victim to safety, then called for countywide mutual aid. Officers from multiple agencies arrived. A SWAT team found Parral-Aguirre on a bed on the bottom floor of the residence. He allegedly resisted but was taken into custody. He was given medical treatment for three gunshot wounds at St. Joseph Hospital then released to the Humboldt County jail. The deputy, whose name has not been released, was treated and released. Honsal says she is on leave and doing well. 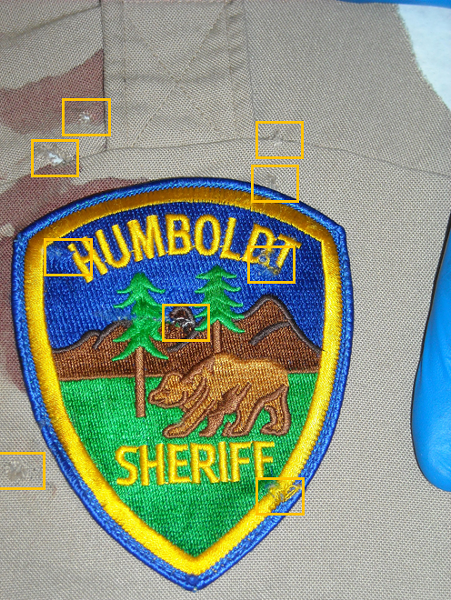 The marks on the deputy's uniform post-incident. cement, Honsal said he believes the district attorney and other agencies have sufficient evidence to pursue a criminal case on felony charges, and an investigation or hold order from ICE may come at a later time. The Humboldt Critical Incident Response Team is investigating the shooting. Parral-Aguierre was not the legal owner of the firearm, Honsal said. Asked about further cooperation with ICE, Honsal said the HCSO will operate within the boundaries of the Trust and Truth Act, signed into law in 2016, which limits cooperation by state and local law enforcement with federal immigration authorities. Honsal closed the press conference by emphasizing that Humboldt County has become a "very, very violent place" and that law enforcement is a dangerous career. He said his deputies did an outstanding job and displayed "considerable courage." He expressed gratitude for the outpouring of support from community members and other law enforcement agencies, with a nod to county Supervisor Rex Bohn, who arrived on scene to make sure dairy workers nearby could get to work in the early morning hours. The small, blue building is where the shooting took place.